Bed bugs contrary to popular belief are not attracted to dirt or filthy objects. Instead, they are attracted to blood, they are brought into the house by animals, people and the luggage we bring as well as books and other objects. They are too small and are impossible to spot with the human eye unless you are really obsessed with finding one. Most furry animals are the ones which attract these bedbugs, these insects also like humid and tropical climate. They may be easily comfortable in areas where there is high human population density such as schools but that doesn’t mean that they can’t be seen in the confines of your home. How to know if you have a bed bug infestation? 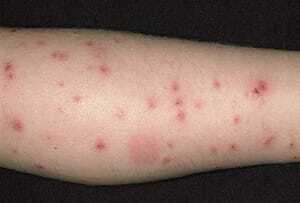 Usually, most bedbugs move during the night. So if you see any unexplained spots of blood on the bedding such as the bed sheets or your mattresses then you may suspect that bedbugs can be present. In some instances, you may also find a very tiny spot moving around on a sheet which can be the bedbug. Bedbugs don’t like to stay at a usual or common location; they may migrate from time to time and may be found in other places besides your bedroom. Another area where they may live are your walls, look at your wallpapers and check your baseboards, check of small spots or specks of blood. Some blood stains may look like tar, if you can try peeling off a portion of your old wallpaper, you may see signs of bed bug excretions which are of dark material. Ensure that you check your furniture from time to time. Couches, chairs and animal bedding may have bed bug infestations. Look for excrement or any small reddish-black spot or dark material which may often mistake as fleas, these may be bed bug blood excretion or bed bugs moving around. Take also in great consideration that the smell of bed bug excretion is sometimes a sweet and musty odour.